Can we talk about real life for a minute people? I don’t know about you, but I find it exhausting at the end of the day or at the end of a long week to cook up a meal for myself let alone my entire family. It actually even pains me just thinking about it. It’s time consuming and takes a lot of thought. And I usually don’t have much brain power or energy left by the end of the day. Something I’ve found that can ease the pain of this task is meal prepping. A little planning goes a long way in keeping me sane throughout the week. 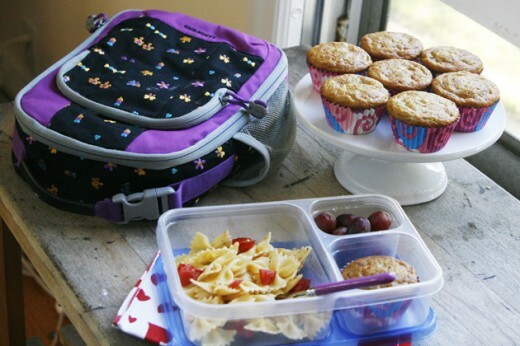 Here are my best tips for meal prepping. I’m calling this “Meal Prep 101.” These tips are straight out of my kitchen. No joke — I seriously do these things every week, and I’m sharing what I’ve found works and doesn’t work for me. My first tip for meal prep is to start with a plan. In our household, this means deciding on our dinner menu for the week. 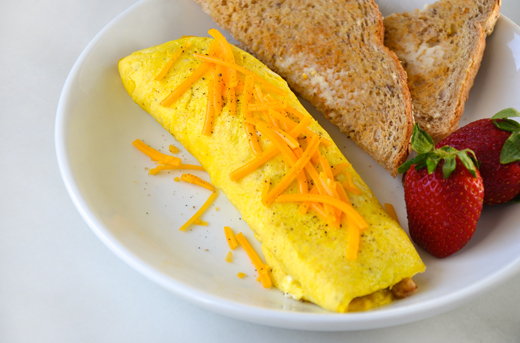 In the morning, we usually make eggs or omelets (I’ll get to how we prep these later) or quick things like yogurt or toast, so we don’t have to worry about planning our breakfast meals. For lunch, my husband eats at work, and I usually do a salad or again something quick like a sandwich. So we actually just stick to just planning dinners for the week. Another part of the planning process is to think through how you can maximize your time on your meal prepping day. For example, you can bake something in the oven while you’re chopping up vegetables, etc. I definitely suggest multi-tasking in a big way. 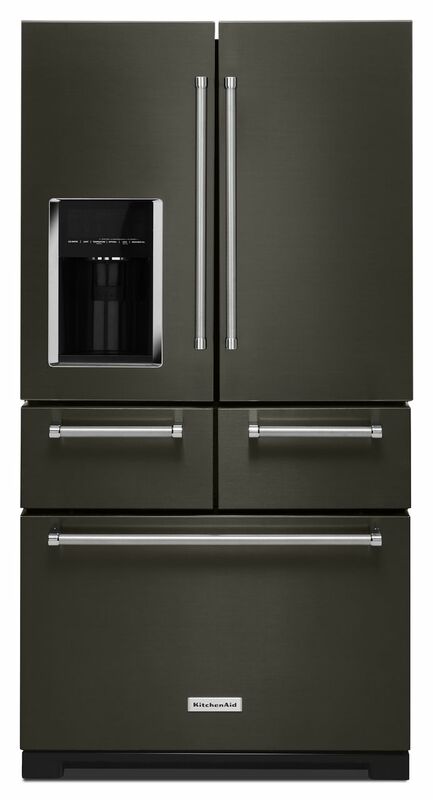 I love my KitchenAid® Multi-Door Refrigerator because it makes multi-tasking easy. The drawers in the center allow for easy access to the vegetables and meats I use for meal prepping. My second tip for successful meal prepping is to double the recipe. For our family, we plan to eat one menu item at least twice throughout the week. It just makes sense. We’re cooking it anyways, so why not just make more? We actually only come up with two dinners per week. We eat the same meal for two nights, and then we plan on going out to eat at least two or three times each week. Ideally, we wouldn’t go out at all, but for us, it just isn’t realistic. With two kiddos, it seems something always comes up where we need to eat out or it’s just easier to do so. This past week, we made salmon and butternut squash raviolis. They were delicious! This might be my most important tip of all: don’t go overboard. When I first started meal prepping, I wanted to have breakfast, lunch, dinner, and snacks made in their entirety for the week. This just wasn’t realistic. It’s too much to do in one day. As mentioned above, my husband and I now only prep dinners for the week and a little bit of breakfast (again more on that later). If you want to try something new, I recommend only doing one thing per week. For example, if you want to start making homemade snacks and homemade smoothies in the morning, pick the snacks one week and homemade smoothies the next. Otherwise, you’ll get overwhelmed. Trust me, I’ve been there. Another great tip is to target your trouble meals. If it’s difficult for you to find time to make breakfast in the morning, make some homemade breakfast bars at the beginning of the week that you can just grab as you’re running out the door. In our house, we cut up green peppers, mushrooms, and scallions at the beginning of the week. We throw these into eggs or omelets for breakfasts throughout the week. 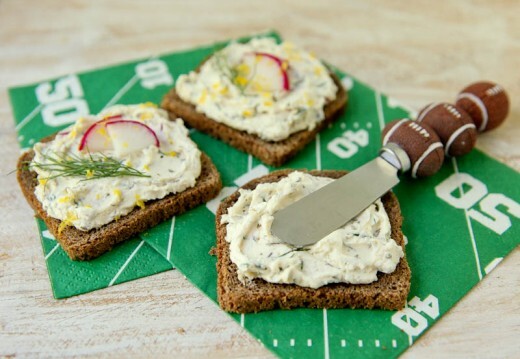 This prep ensures we start off the day with a protein and some veggies, and we aren’t just grabbing coffee and banana bread at Starbucks (although we still do that on occasion) Note the “cut yourself some slack” tip below. 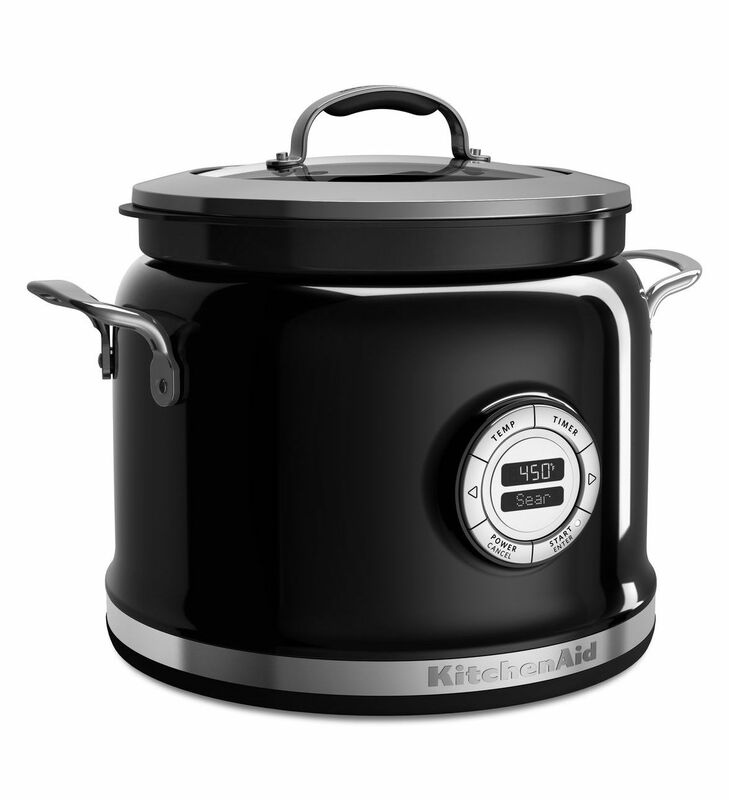 I definitely suggest using the KitchenAid® Multi-Cooker or Slow Cooker. It will become your best friend for meal prepping. You can do anything from stews to oatmeal and everything in between. And you just dump everything in and leave it. 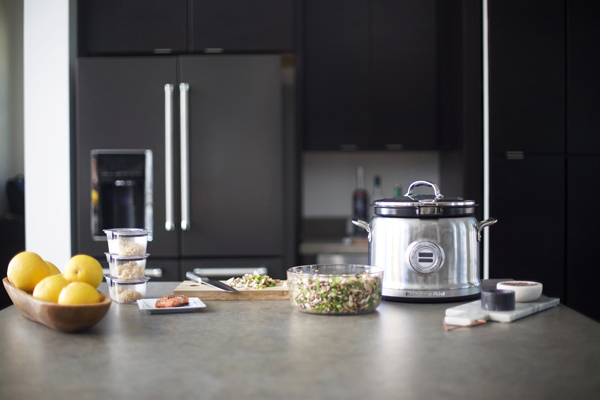 On your meal prepping day, start with your slow cooker and move on from there. One misconception with meal prepping is that you have to prep the entire meal. Making components of a meal or chopping up vegetables ahead of time is just as productive. In fact, I often prefer to prep just part of the meal. Then I can cook it up fresh the day we are eating it. 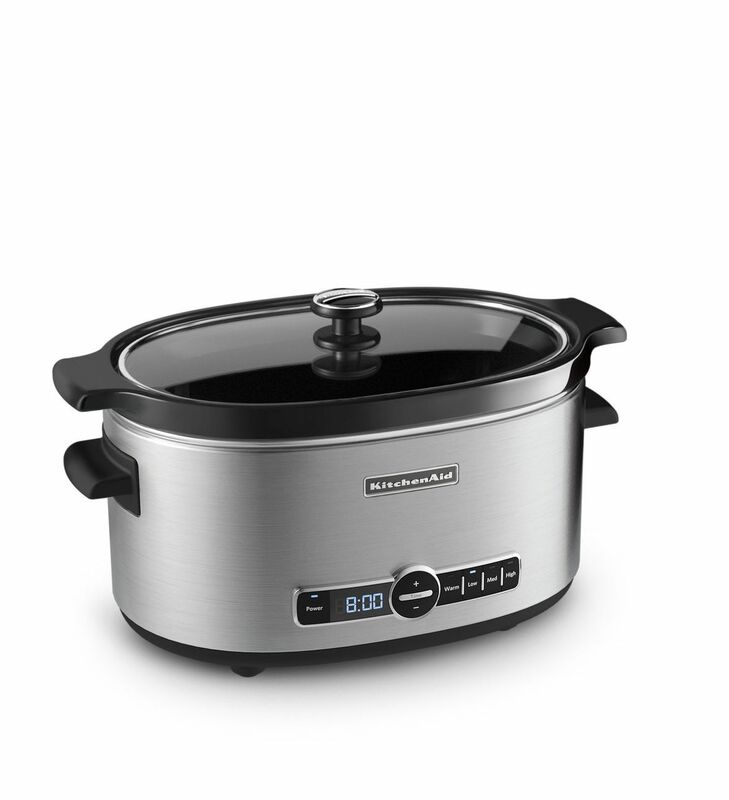 To continue with my discussion about the Multi-Cooker and Slow Cooker, each week I make shredded chicken in my Multi-Cooker. I put a little chicken broth in with some salt and pepper, and I set the multi-cooker to the slow cooker low setting. After about six hours, I shred the chicken. We use this for salads, tacos, etc. throughout the week. My final tip is to cut yourself some slack. As you begin to meal prep, you will find what works and what doesn’t work for you. Pay attention to these things, and don’t be too hard on yourself if you planned to make something for the week and didn’t get to it. Save it for next week! I hope this meal prep 101 “course” was helpful! What other meal prepping tips do you have?